Jen McGowan directed from a script by Julie Lipson, based on a story by Lunacy Productions’ Stu Pollard, who also produced the thriller. 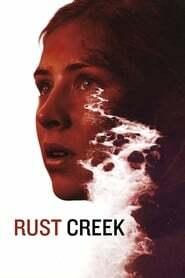 “Rust Creek” stars Jay Paulson, Sean O’Bryan, John Marshall Jones, Micah Hauptman, Daniel R. Hill, and Jeremy Glazer. IFC Midnight is planning a January theatrical release. Corfield, whose credits include “Star Wars: The Last Jedi,” plays an ambitious, overachieving college senior with a seemingly bright future. While on her way to a job interview, a wrong turn leaves her stranded deep in the frozen Kentucky woods, where she’s punished by the elements and pursued by a band of ruthless outlaws. With nowhere left to run, she is forced into an uneasy alliance with Paulson’s enigmatic loner.